BRC-SS01 | Small Light Duty Briefcase - $30.00 !!! 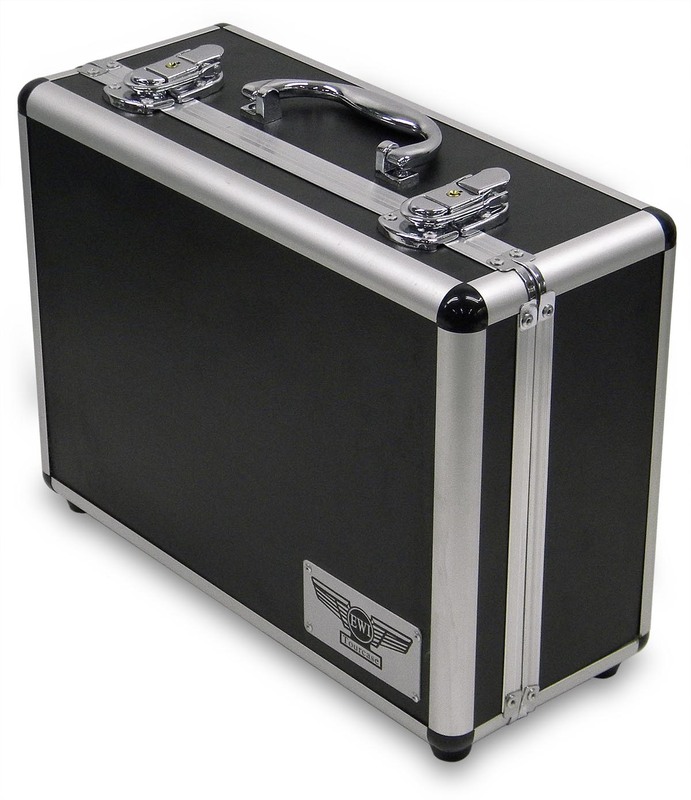 Home > Cases and Hardware > Road Racks and Cases > Briefcase Style Workboxes > BRC-SS01 | Small Light Duty Briefcase - $30.00 !!! 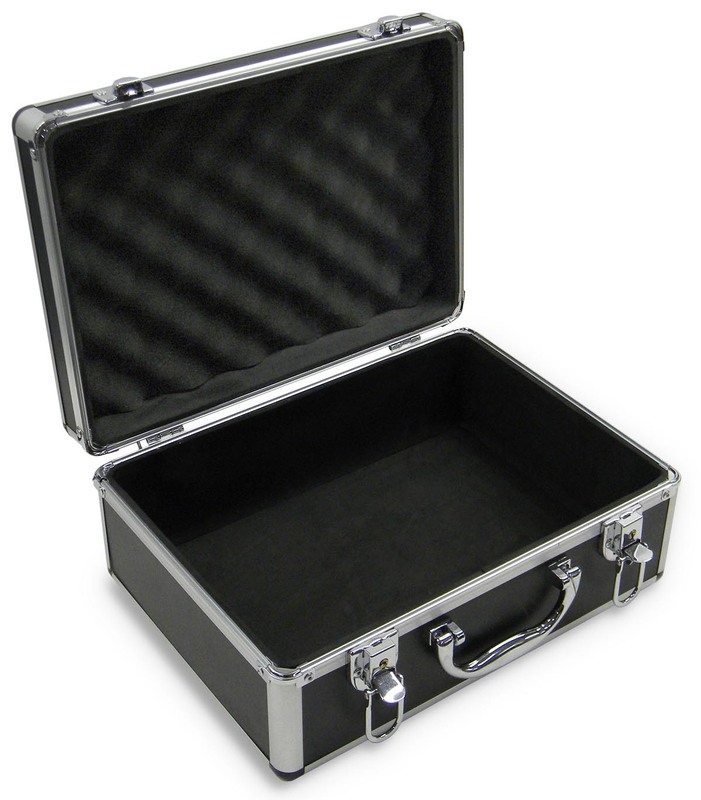 This is the EWI Tourcase tm BRC-SS01 "Super Small Light Duty" Briefcase. This case is a very small light weight alternative to our heavier briefcases and is a nice size for small gear, tools, or electronics. The BRC-SS01 side panels are constructed with 1/8 inch hardwood plywood and covered with an ABS laminate finish. The extrusion is all aluminum and the case is assembled with aluminum rivets. Mounted on the end of the case are 4 solid rubberized feet for the standing position. 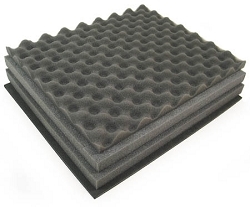 The inside is fully lined with 3/8" thick high density foam and egg crate foam in the lid. Front to back: 8 1/2"
Depth of tray: 3 3/8"
Over-all interior height: 4 3/8"